Great Smoky Mountains National Park officials just announced on the park website that the Cades Cove Loop Road is tentatively scheduled to be closed on December 3-4 for hemlock woolly adelgid spraying. Closure dates may be adjusted due to weather. Additional details of the closure will be posted on the park's website once they become available. Today is going to be a cold one in the Smoky Mountains region. Some parts of the southern Appalachians are expecting even more snow today in the upper elevations. The Mt. LeConte Lodge website is reporting that there are already six inches of existing snow on the ground above 4000 feet! Clingmans Dome Road remains closed as a result of snow and ice as well. I know a lot of people don’t like hiking in the cold weather. I don’t blame you. For those of you who still wish you could be out there hiking, maybe you could take to the trail vicariously for a couple of minutes with a good video. 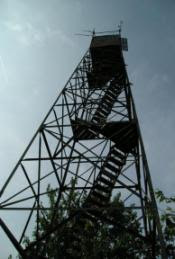 If you’re looking for more information about hiking the Alum Cave Trail to the summit of Mt. LeConte, please click here. This past Saturday was a dreary, rainy day in Louisville. Rather than spend all day indoors, I decided to go out and take a walk on some trails near my neighborhood. A quick check of the Weather Channel showed it was 42 degrees with winds of 19 mph. 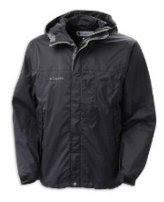 I wanted to give my relatively new Columbia Sportswear Thunderstorm Jacket another test. Wearing just the jacket and my Columbia Omni-Dry Mountain Tech T-shirt as a base layer, I headed outside. Even though the jacket is lined, I still felt a little cool when I first walked out the door. At first I thought that maybe I was going to need an additional thin layer, however, once I was out for about 5 minutes I began feeling more comfortable, except during the occasional strong gust of wind. I walked in a steady rain/drizzle for just over an hour. The jacket kept me completely dry, and sufficiently warded off the wind. Perhaps a much better test of my jacket occurred during a hike in the Flattops Wilderness Area in Colorado back in July. My hiking partners and I got stuck in a surprise thunderstorm which forced us to hike almost four miles in steady to heavy rain. Again, my upper body remained completely dry and I never felt chilled from the cool breeze. I was very pleased with the performance of the product and was glad that I made the upgrade from a competitor product. The Thunderstorm Jacket is a waterproof, breathable jacket, which also resists internal condensation to keep you dry in any conditions. The Omni-Tech technology provides premium waterproof/breathable protection by using microporous membranes which keeps water from penetrating the fabric, yet allows perspiration to escape. Additionally, Columbia seals all seams on the jacket. The Omni-Dry Mountain Tech T-shirt also did its job by keeping me dry during my neighborhood hike. I’m a pretty fast walker and I tend to generate a lot of heat, but the shirt didn’t feel sweaty after returning home. 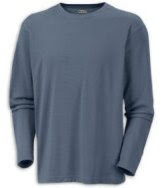 I’ve been wearing wicking shirts for many years now. More than a year ago I purchased an Omni-Dry Mountain Tech T-shirt from Columbia Sportswear and have had the opportunity to use it on many occasions. It’s done an excellent job of keeping me dry in both warm and cold weather conditions. In addition to wicking perspiration away, the shirt has UPF-15 rated sun protection and resists the build-up of odor causing bacteria. Tomorrow night at 8 p.m., Meredith Goins will be the guest on the GoSmoky.com Radio Show, hosted by Raymond Owens. Ms. Goins is the spokeswoman for "Smoky Mountain Institute at Tremont". She will be discussing what the Institute has to offer and how people can get involved during the the 30 minute internet-based radio program. The Great Smoky Mountains Institute at Tremont provides in-depth experiences through educational programs designed to nurture appreciation of Great Smoky Mountains National Park, celebrate diversity, and foster stewardship. The Institute’s mission is to connect people and nature through hands-on learning experiences with the National Park. Tremont is a residential environmental education center located within the Park boundaries (near the Townsend Y). They help teachers, students, parents, vacationers and photographers learn about stewardship and the cultural and natural history of the Smokies through their in-depth education programs. Learning programs include weekend hikes, Elderhostel programs, family camping programs, and 3-day and 5-day school group programs. You can listen to the show by clicking GoSmoky.com Radio Show website. Why burn gas and fight traffic at the malls? Enjoy the convenience of shopping from home or work. Just click on the Smoky Mountain Day Hikers Store to find hiking quality gear and apparel from some of the best outdoor brands. 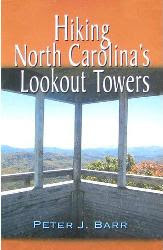 We also have a wide variety of books related to hiking and the Smoky Mountains. Below is short video featuring world renowned mountaineer Ed Viesturs. 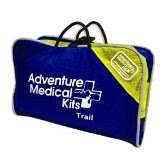 In the video, Ed discusses what he has in his medical and first aid kits whenever he ventures into the outdoors. Below are some of the products that Ed discussed. 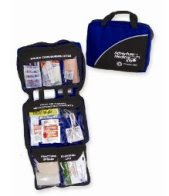 If you would like more in-depth information about what is contained in each of the kits, just click on one of the links. If you’re a cyclist, which I happen to be, “riding the spine” would probably have to be one of the ultimate cycling adventures. In fact, I’ve often wandered if anybody else has ever done the trip, or even considered it. The ultimate trip I’m referring to takes you from the Alaskan Arctic Coast to the tip of South America. Just the other day I found out about three cyclists who are currently attempting this epic ride. Jacob Thompson, Sean Monterastelli and Goat (yes, Goat is his real name according to their website) began their trip in July of 2006 from Prudhoe Bay, Alaska. Primarily using off-road trails, the three Santa Cruz, California natives are riding along the Continental Divide spanning the entire length of the Americas. Their ultimate destination is Tierra del Fuego in Argentina, which is at the southern tip of South America. With roughly 100 pounds of gear loaded on their Xtracycle “sport utility bicycles”, the trio averages about 15 miles a day. They spend about $12 a day, making their money stretch by camping 99% of the time. After more than two years and 12,000 miles, the adventurers recently arrived in Colombia, South America. As you might expect, the trip has not been without incident. 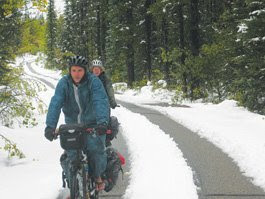 In Canada and Montana they had to deal with snow, subzero temperatures, and trails covered with black ice. There were constant snow-related bike failures. One night Goat suffered hypothermia and frostbite, and, were it not for a cabin stocked with plenty of firewood out in the middle of nowhere, things could’ve been a lot worse. In Copper Canyon in Chihuahua, they camped at a river next to a drug smuggling operation. That night the Mexican military surrounded their campsite, machine guns cocked and aimed at their heads. After a few tense moments, the Federales sorted things out and realized the cyclists weren’t smugglers. Their most recent adventure occurred just the other day. In order to get across the Darien Gap, a large swath of undeveloped swampland and forest separating Panama and Colombia, the trio was forced to hit the water. Strapping their bikes on top of kayaks, the group spent the next two weeks island hopping and paddling almost 500 nautical miles. The indigenous Kuna people of this region didn´t quite know what to make of the trio paddling bikes across their territory. One morning they were ambushed by Kuna police wearing masks. They held the cyclists at gunpoint until they confirmed that the American adventurer’s weren´t actually a threat to their independent nation. You can follow their journey as they make their way to Tierra del Fuego by following the journals and videos on their website. Earlier this year, on June 14, 2008, Zac Sunderland set sail from Marina del Rey, California, a small harbor just south of Los Angeles. This would be no ordinary excursion. Zac, having just completed his sophomore year in high school, was embarking on a year and a half long adventure to sail around the world - alone. 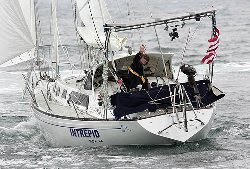 If he arrives back in California before January 2010 he will become the youngest person to sail around the world alone, breaking the record held by David Dicks, an Australian who was 18 years, 41 days old, when he accomplished his feat. To circumnavigate the globe, Zac will be sailing roughly 24,000 nautical miles in a 1972 Islander, a 36-foot yacht he named the Intrepid. Right now he is closing in on Port Louis, Mauritius, putting him close to the half-way point on his voyage. Zac, as one might expect, is no stranger to sailing. He grew up in a family of sailors. He joined the family on sailing ventures to Australia, New Zealand, the UK and Mexico, all the while developing his own seafaring skills as he grew up on the seas. In addition to those family excursions, he’s had experience racing, crewing and delivering yachts of all sizes and value. He’s crewed for delivery captains up and down the west coast, often given sole responsibility for navigating, sail trim and resolving mechanical problems. Zac also has a great deal of experience working on yachts, including installing and repairing rigging up in the crow's nest, down below on thru hull fittings, as well as overhauling diesel engines. To assure his family that he’s safe and sound, Zac calls his family at least twice a day on his satellite phone. He also stays in contact with the rest of the world using an email service called SailMail. That phone came in handy one day when he needed some quick advice from his father. Off the coast of Indonesia, in perhaps the most dangerous moment of his trip so far, he had an encounter with pirates. At one point in his voyage a large wooden vessel that didn’t show-up on the radar, flying no flags, with its crew hidden and not responding to radio calls, swept to within 200 yards of the Intrepid. Zac called his father, who instructed him to load his .357-caliber pistol and be prepared to shoot to kill. After riding in the wake of the Intrepid for several minutes the vessel finally changed course and motored off. Besides his encounter with pirates, he cites his biggest challenges as going for long periods of time without sleep and not feeling hungry, but knowing he has to eat in order to keep his strength up. He also mentions unpredictable seas, the constant squalls, pelting rain and the rolling waves in every direction wears on him as well. Once he reaches Mauritius he’ll need to spend some time taking care of some extensive repairs to his boat. The most treacherous portion of his journey - from Mauritius to Durban, South Africa, and around the Cape of Good Hope - lies directly ahead. He’ll be in a hurry to try to beat the storm season. With Christmas only weeks away, it’s time to start thinking about a gift for that special hiker in your life, or, maybe some new gear for yourself. 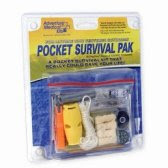 Let the Smoky Mountain Day Hikers Store help you. We offer quality gear and apparel from some of the best outdoor brands, including; Columbia Sportswear, Kelty, Garmin, Leki, Marmot, Mountain Hardwear and North Face. With a slowing economy, shoppers will be making extra efforts to make their dollars stretch this season. 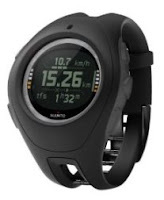 We can help by offering you some the most competitive prices on hiking gear around. No need to burn gas or fight traffic at the malls either. Online shoppers enjoy the convenience of shopping for books, gear and apparel from home or work. Just click here to see our full selection. In celebration of the beginning of another ski/snowboarding season, I thought I’d show an awesome snowboarding video to get you primed and ready for the new season. The video shows the first descent of Peak 7601 (near Valdez, Alaska) by Terje Haakonsen, a Norwegian snowboarder widely considered to be one of the most influential snowboarders of all time and one of the sport's early icons. This absolutely thrilling run was part of a film called First Descent, which also included Shaun White, Hannah Teter, Shawn Farmer and Nick Perata. Many people have already seen the video, but hopefully this will inspire you…..to get out and conquer Cataloochee this weekend! Appalachia: A history of Mountains and People will be the first film series ever to chronicle the history of one of the world’s oldest mountain ranges and the diverse peoples who have inhabited them. The central theme of the series will explore the dynamic interaction of natural history and human history; how the mountains have shaped the people and how people have shaped the mountains. The documentary, narrated by Academy Award Winner, Sissy Spacek, illustrates how the environment has shaped the residents, as well as how residents have tried — with often drastically damaging results — to shape the environment. The series will also investigate Appalachia's many generations of inhabitants — from the first humans who settled in the mountains 14,000 years ago, to the Native Americans and Europeans who fought over the land, to current-day Appalachian residents. Below is a trailer from the film. Over the next several days there will be a couple of seasonal road closings in the Smoky Mountains that will impact a handful of trails. On Monday, November 10, the Roundbottom/Straight Fork Road will be closed for the season. The gravel road is accessed from the paved Big Cove Road, located near Oconaluftee in North Carolina. Trails impacted by this closing include the Hyatt Ridge, Enloe Creek and Beech Gap Trails. The following Monday, November 17, Rich Mountain Road and Parson Branch Road will also close for the season. Both roads are one-way gravel roads, and are both accessed via the Cades Cove Loop Road. Trails impacted by these closings include Indian Graves Gap on Rich Mountain Road, and the Gregory Bald and Hannah Mountain Trails on Parson Branch Road. Of course all of these trails will continue to be open, but you may have problems reaching these particular trailheads. You should also be aware that the Cades Cove Campground Store will close on November 17 as well. However, vending machines will remain in service throughout the winter. I just found out about this product the other day after reading an article by the “Gear Junkie” in the Billings Gazette. 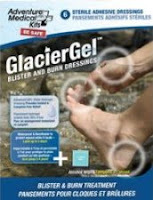 He used a product called GlacierGel to treat a hot spot on his heel on a recent climb up King’s Peak in Utah. 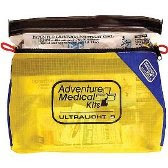 Apparently this is a relatively new product from Adventure Medical Kits. GlacierGel’s most distinctive feature is an absorbent bubble that protects damaged skin and helps to relieve pain caused by blisters. The bubble contains 50% water which acts as a cushion against subsequent friction to the sensitive area and will stay in place for 3-4 days. Using what Adventure Medical Kits calls "hydrogel technology", the bubble also acts to cool the blister as well. Apparently this product can also be used on burns. Ed Visteurs, the renowned American climber who has summitted the worlds 14 highest mountains without oxygen, is a pitchman for the company. Here’s video where he discusses how to prevent and treat blisters, and how to properly use GlacierGel. In my blog post on Saturday I mentioned an extensive interview with Park Superintendent Dale Ditmanson in the most recent issue of Smokies Life Magazine. In the interview, Ditmanson mentions the creation of a $4 Million Trails Forever Foundation which will be used to fund an annual trails improvement program. The foundation is considered to be a keystone component of the Park’s 75th Anniversary. The proceeds from the foundation will go towards trail reconstruction, relocation of trails, building trails elevated on logs in order to carry them across wetlands, and installing new foot-logs and bridges across streams. The first $2 million towards the $4 million Endowment has already been committed by the Knoxville-based ASLAN Foundation, which was founded by the late Lindsay Young, a Friends of the Smokies Charter Board Member. Friends of the Smokies plans to raise the additional $2 million in matching funds needed to create the Endowment and will then manage the funds in perpetuity. Currently, there are two trail maintenance crews, one on the Tennessee side of the park, and the other in North Carolina. The endowment will be used to create a third crew, comprised of paid crew members and volunteers. This third crew has already begun work on improvements for two trails; the Forney Ridge (Andrews Bald) and Ramsay Cascades Trails. 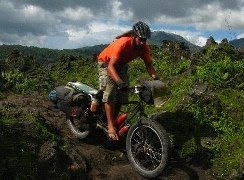 If you would like to volunteer on the Trails Forever crew, please contact Jeremy Sweat. A few days ago I received the latest addition of Smokies Life Magazine, a quarterly publication from the Great Smoky Mountains Association. This edition happens to be a special 75th Anniversary issue. 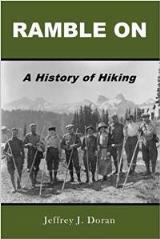 As you might expect, a large portion of the issue is dedicated towards the history and the creation of the national park. In addition to several park history articles, there are many historical photos, as well as a detailed timeline covering key historical events in the park. 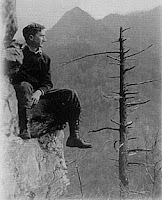 Among some of the articles is a short biography on George Masa, known as the “Ansel Adams of the East”, who’s photographs were instrumental in helping for the cause of national park status for the Smokies. Several of Masa’s outstanding photographs are included with the story. You’ll also find a story discussing the return of wildlife that went missing (or nearly went missing) in the Smokies such as elk, deer, otter, bears, and wild turkey, to name a few. Finally, there’s an extensive interview with Park Superintendent Dale Ditmanson. Although he didn’t say it outright, it sounds like he supports the collection of entrance fees in the future. He said fees are needed to replace and repair the aging park infrastructure. He’s also looking for ways to solve some of the heavy traffic problems, in particular, in Cades Cove. He mentioned using buses as a solution, but cited issues with parking as being problematic. 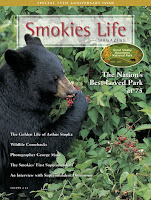 As I’ve already mentioned in a previous post, Smokies Life Magazine is a high quality publication, one that I highly recommend for anyone who loves the Smokies. You can purchase a copy at some of the visitor centers or through the GSMA website. Or, better yet, you could join the Great Smoky Mountains Association which includes an annual subscription to the magazine. By becoming a member you’ll also be helping a great cause. 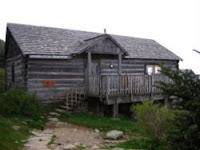 Through sales, labor, donations, and volunteer efforts, the Great Smoky Mountains Association provides funds that help with many park expenses. Since its creation in 1953, GSMA has contributed more than $18 million to the park.